Home Blog How to Make Your Dental Practice Attract Millennial Patients Online? 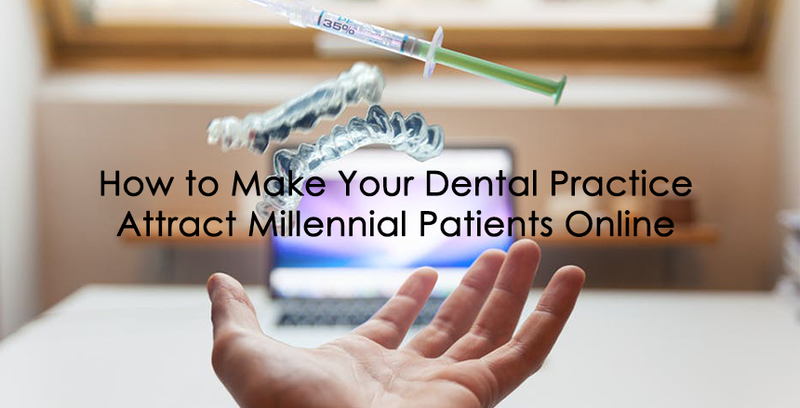 How to Make Your Dental Practice Attract Millennial Patients Online? Today, almost everything is obtained with a single online click. Online transaction is more favored means for buy-and-purchase activities as well as conducting meetings and other business transactions. As we all know, the ones mostly affected by this are the millennials (born from 1982 to 2000) which has a total population of 83.1 million population in the US. There’s a big chance for your dental practice to attract more patients if you bring your business in the online world. Those who use gadgets very well understand the value of connecting to the internet. You have to consider mobile users as well as those who use desktop and laptops when starting your online journey. Millennials want to obtain every bit information fast and easy, using search engines is the easiest way to do that. Building your online presence should not be taken lightly because with the information available on the internet, it’s important to stand out. In order to do that, you need to build your online presence perfectly explaining what your practice is about. It should be user-friendly and well-designed. And don’t forget to keep it mobile-friendly, which also affects your website’s Google ranking. According to experts, 97% of millennials are Smartphone users. Also, take into consideration reading and responding to reviews about your practice and keep your website updated. Millennials consider convenient interactions on the web. You will more likely earn their trust if you provide them with a convenient patient experience. Provide a form for online booking. This allows them to make an appointment immediately. Also, as much as possible, let them do all the paper work online instead of letting your patients fill them out in your practice. If possible, provide some tablets in your practice where your patients can update their information, write feedback, as well as pay their co-pays because all patients would want that convenience. Just ensure that the system you use provides great security to their information. Social Media websites can greatly affect your business if you know how to use them. According to a study, 69% of millennials are on Facebook and 5 out of 6 of them connect with businesses including dental practices. Manage your social media accounts by providing all your necessary information. Complete your profile. Provide your contact details, upload pictures of your practice, your patients and of course your team. It’s also good if you encourage your patients to give positive reviews on social media. Respond to their questions and concerns immediately. You can assign someone who can manage this important task for you.